Every step of the process is important to achieve the perfect peel-friendly egg. Make sure your eggs aren't super fresh, as egg whites are more likely to stick to the inner shell when the egg is brand new. Of course, make sure you're cooking your hard-boiled eggs the right way and the right amount of time—there is no fun in peeling an undercooked egg or eating an overcooked egg. 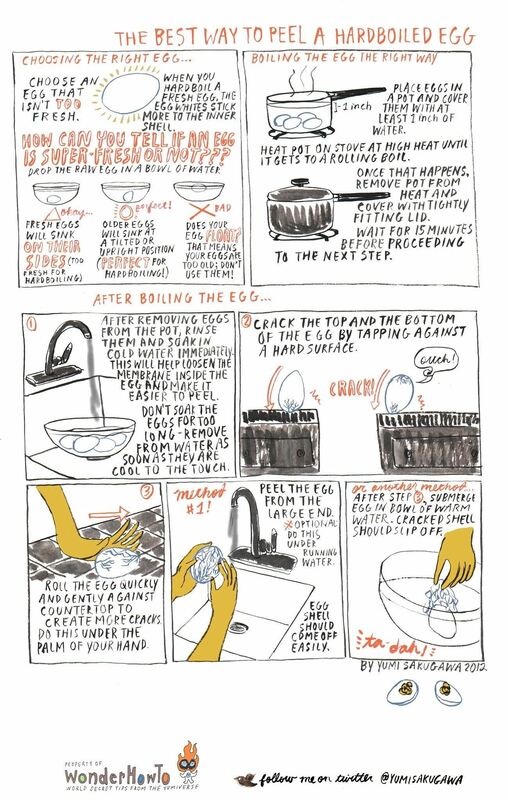 And finally, the most common method for peeling a hard-boiled egg effectively is the "rolling" method, which is illustrated below. Got your own tips for effectively peeling hard-boiled eggs? Share with us in the comments below!